The Clore JNC300XLC sits between juggernaut jump starters like its big brother the JNC660 or the Stanley J5C09, and the tiny PowerAll. 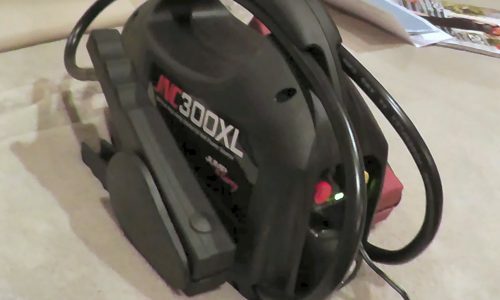 At 8 Pounds the JNC300XLC is less than half the size of those larger jump starters but still much larger than the PowerAll. This unit is therefore ideal for drivers who do not need a huge multi-start jump starter taking up storage space in their car, but still need a capable jump starter that will get them out of trouble when required. For more information on the manufacturer of this model see our Clore info page. 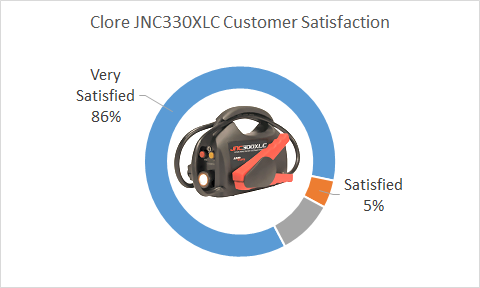 We’ve analysed every Clore JNC300XLC customer review and summarised the results arriving at the following chart. This lets you see how the Clore JNC300XLC is rated by actual users. These reviews were collected from large online retailers and totalled over 900 individual reviews. 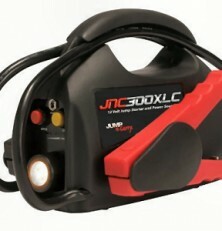 What’s Special about the Clore JNC300XLC Jump Starter? 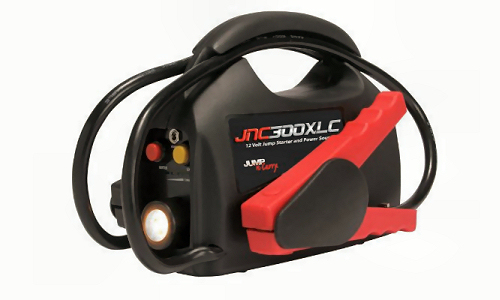 The JNC300XLC is ultra-portable which means its not so bulky as to make it look like a professional garage tool, but it remains a capable jump starter that will take care of almost all jump start tasks, even some large diesel engines. 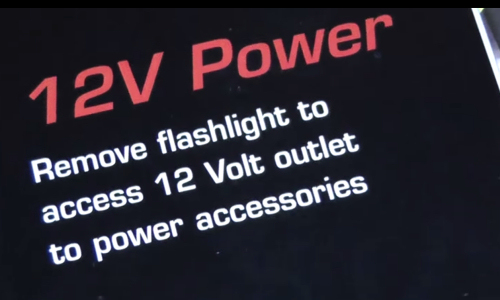 As can be seen in the above photo, a 12v cigarette lighter plug houses the included torch accessory, which can be removed to allow charging of gadgets such as mobile phones. 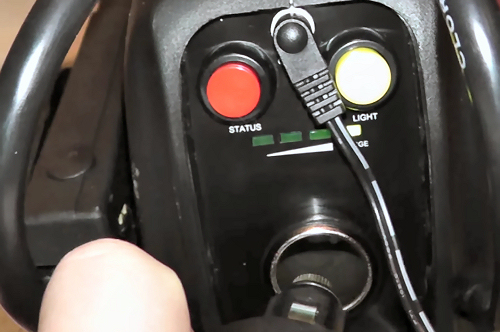 You can also see the charging indicators in this photo, once the three green lights are lit, the unit if fully charged. 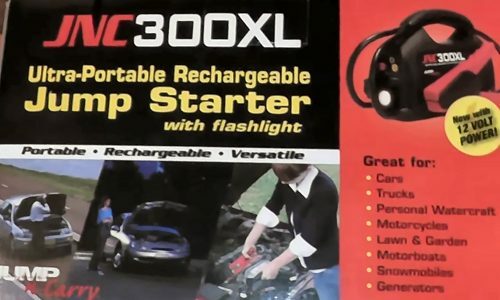 This jump starter is perfect for drivers looking for some reassurance that if they are stranded somewhere with a flat battery, that they can get going again quickly and easily. Because it comes in such a neat, pleasing and portable forma factor, it makes for an ideal gift for Dad, Mum or new driver young adults. This is quite a bit less than other jump starters we have reviewed, however, it is powerful enough and plenty of users love it. Bang in the middle, lighter than the big boys by half, but heavier than the lithium PowerAll. Not as long as larger jump starters, but really, it sits next to the battery so it’s plenty! Charge your gadgets and phones, great! This is a worthwhile safety feature, please make sure and only order the XLC variant by clicking “Energy Compliant” on the product page. Great feature, because you know your battery emergency is going to happen in the dark, right? We liked the portability of the JNC300XLC, it’s light enough and compact enough to grab and take to a roadside emergency without any hastle. The removable torch is handy as you unplug it to access the cigarette lighter plug for charging gadgets or accessories. Support : Clore are known as the jump starter guys, they know their business and their products. If you even need advice or support, you can rely on Clore for great customer service. This is the charging point for the included AC adapter. This product achieves an 86% satisfaction rating from customers, although this seems high enough for a confident purchase, the 10% of users that were very dis-satisfied almost all complained of the same thing : the unit stopped charging or jump starting after a few months of usage. 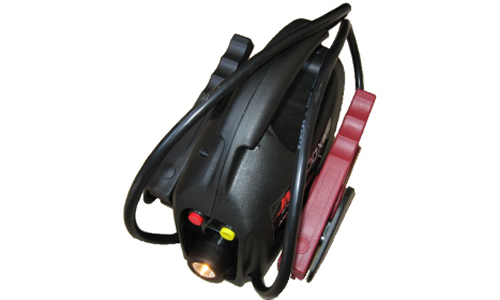 There have been quite a few refund or replace requests for the JNC300XLC, so while it is small and inexpensive, there is a question over this jump starters reliability.For a more reliable Jump N Carry from Clore, we would suggest the Clore JNC660 or if portability is high on your list, then take a look at the PowerAll. For over charge protection and peace of mind charging please ensure you select the XLC California Energy Compliant version. As this is a small battery, it’s life span is not fantastic. If kept in good condition with the battery charge topped up as per the recommendations, it may have a serviceable life of around 3 years. Know your limitations, this portable jump starter may struggle with V8 engines, but is great for family saloons right up to large diesels. etc. 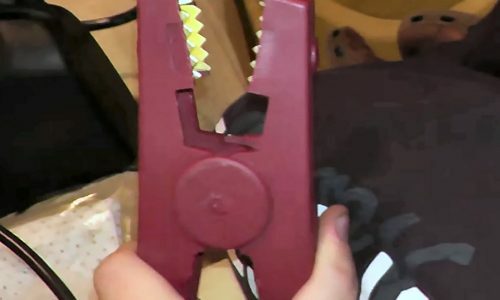 There is no master ON/OFF button, although the clever storage method keeps the clamps apart and insulated. How often should I top up the charge? Do I connect both cables to the battery terminals? How do you charge this unit? Recharge this jump starter every 3 months or so to be sure that it is ready for the next emergency. No, the black cable should be connected to a good ground, ie unpainted metal. 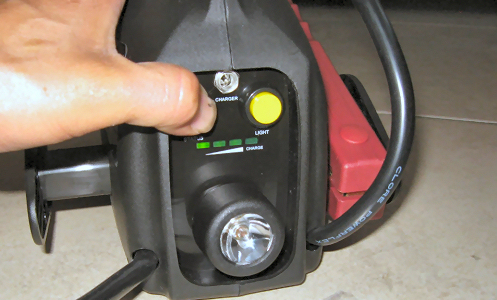 Connecting both clamps to the battery will not do any damage, however it cause a spark risk and should be avoided. 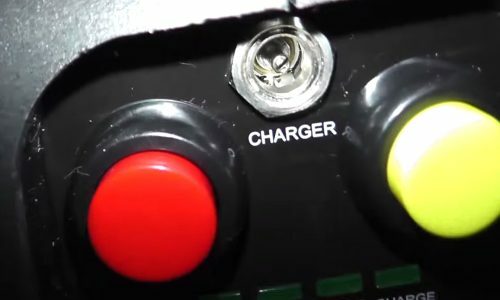 Almost all engine bays have a grounding point built in, users should familiarise themselves with this location and always use this for jump starting your vehicle. 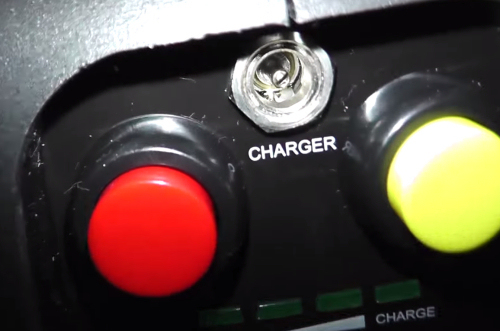 This is the recommended and safest way to connect a jump starter, whether you are using a portable device such as this, or another vehicle battery with jump leads. 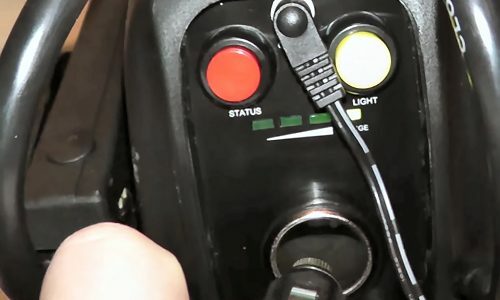 If there is no sound grounding point in the engine bay or you cannot find it, it is possible to connect to the batteries negative terminal, and in some cases this will start a troublesome motor, however, additional care is required. If using this method also make sure to follow best practice and connect the negative terminal last and disconnect it first. 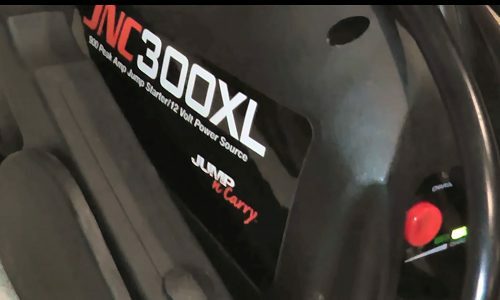 There are two models of this particular Jump and Carry jump starter from Clore, the original JNC300XL or the JNC300XLC which was released in 2103 to comply with California energy consumption requirements. For the end user though, the main advantage of the XLC is that is incorporates a smart charging circuit with overcharge protection for AC recharging. The XL version has NO overcharge protection and as such cannot be left charging indefinitely. The peace of mind that this offers owners of the XLC is worth the additional $5 premium over the XL version. For more information on the California Energy Code please see here. Simply plug the included AC adapter into the unit and then into the wall. If you have skipped to this product conclusion without reading the rest of the review, please make sure you read the caution section above as it has important information regarding purchasing the correct model. In summary however, this is a very portable, inexpensive and capable jump starter. Our only concern was a number of complaints regarding the reliability of this unit. This could be a result of the smaller battery the unit relies on for jump starting, however there remains an 85%+ customer satisfaction rating, and the excellent Clore customer service to count on. If you are on a budget therefore, this could be the jump starter for you. If you could stretch to something a little more expensive but greater reliability, please see the alternatives listed below. It charges quickly, holds a charge for months and is light and compact. GREAT PRODUCT! for the price. Even though I had charged it almost 3 months ago, it worked on the first attempt which is reassuring. I’m really impressed with this unit. In real life, aesthetically this unit looks great, from the picture it might not and might seem like a toy but its not. Its solidly built has that healthy weight which is not too heavy to hold and not too light to feel cheap. You know when you buy some product which is cheaper than all its other competitors; at the back of your mind you know it lacks in quality or it might not be as good but not with this. Its a great buy, great value, better than the more expensive units out there.